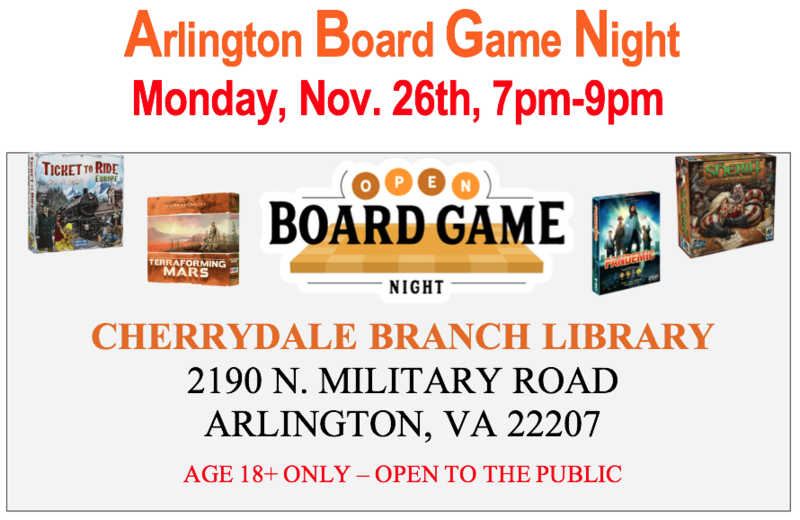 Join us tonight at Cherrydale Branch Library (2190 N. Military Road) in Arlington from 7pm to 9pm for Board Game Night! This event is free and open to the public. We will bring a variety of modern games. We will be teaching three games tonight but you can select a game from our library or bring your own and grab a table. Come make some new friends in a safe, positive and supportive environment.